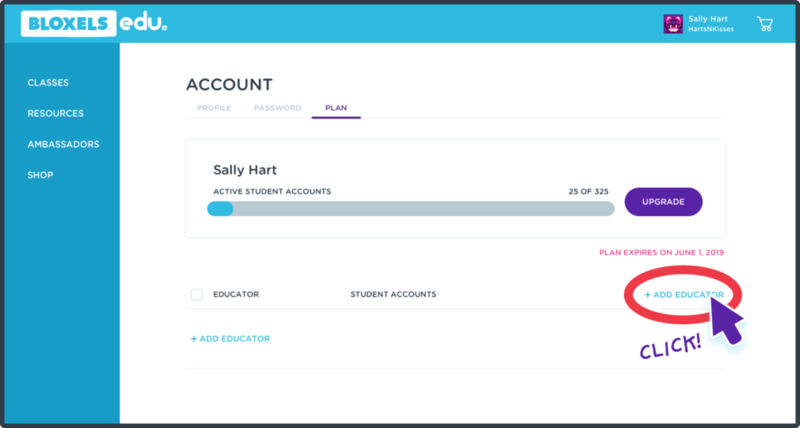 The Account page is where you can view and edit your Profile, manage your Password, manage and upgrade your Plan, and invite and manage your educators. Click on the ACCOUNT link in the drop down menu to go to your Account page. 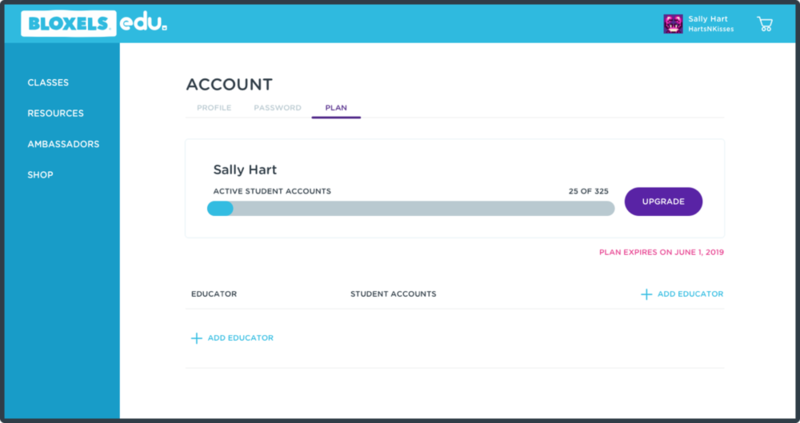 In the PLAN tab you can view the number of Student Accounts you have, Upgrade your Bloxels EDU Plan, Add Educators to your community and give them Student Accounts. 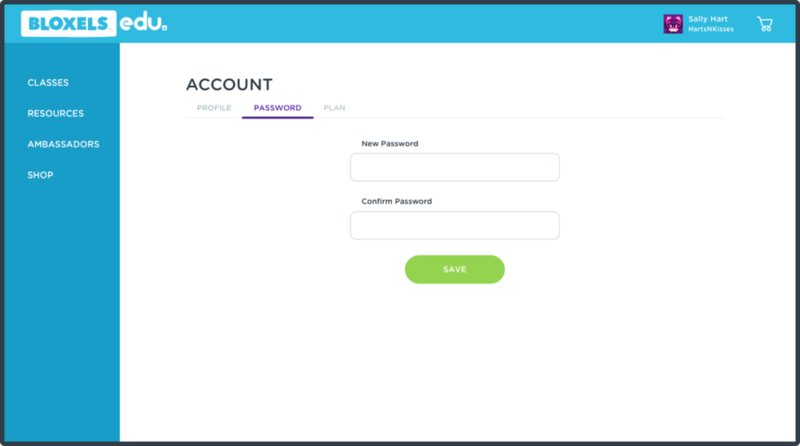 At the top of the PLAN tab is your Admin Dashboard. This is where you can view the number of Student Accounts you have, upgrade to add more Student Accounts, and view your Plans expiration date. 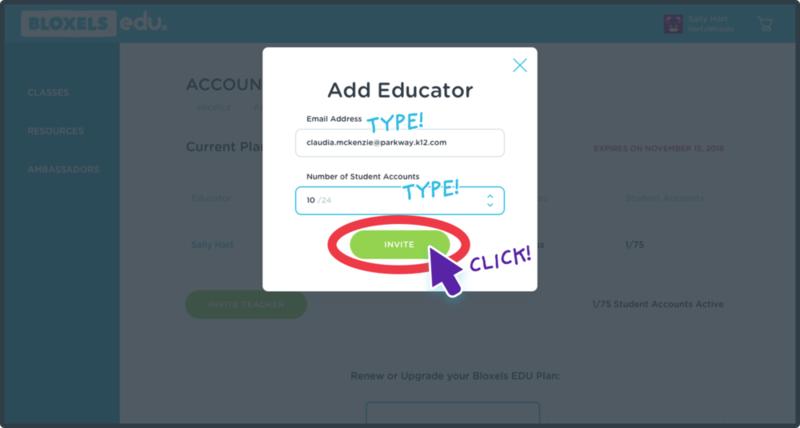 Click ADD EDUCATOR to invite an educator to start using Bloxels EDU and give them Student Accounts from your available Student Accounts. Type educator’s email address into the Email Address field, then enter the amount of Student Accounts you would like to give them in the Number of Student Accounts field. Click the INVITE button to email them an invite. 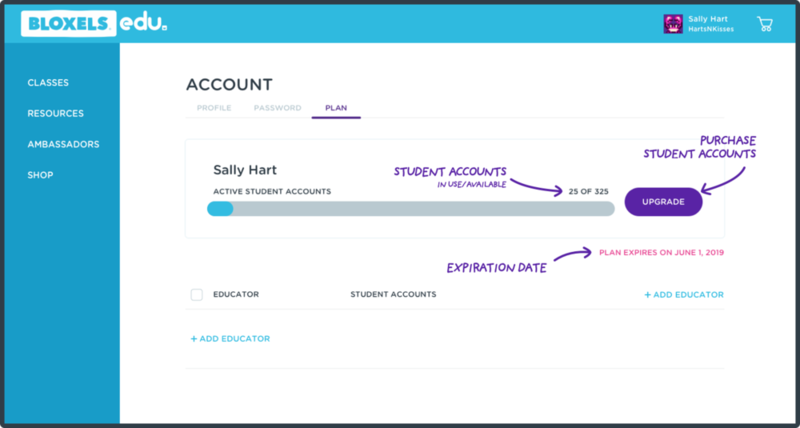 The Student Accounts you give the educator will come out of your available Student Accounts. 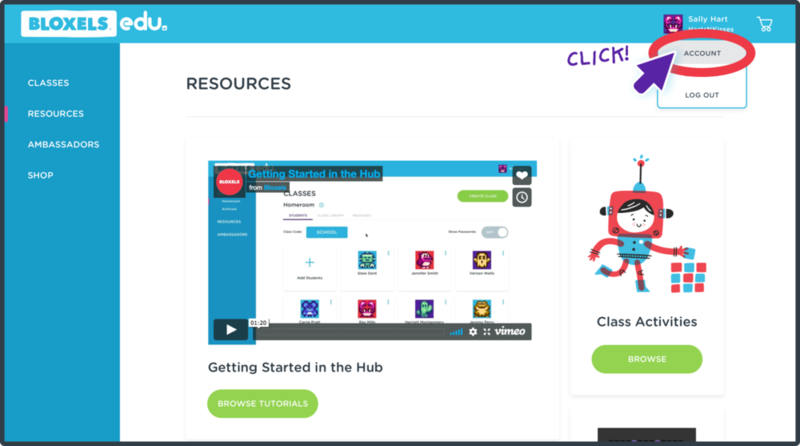 Click the RESEND INVITE button to invite the educator. Click the CANCEL INVITE button to cancel the educators invite. 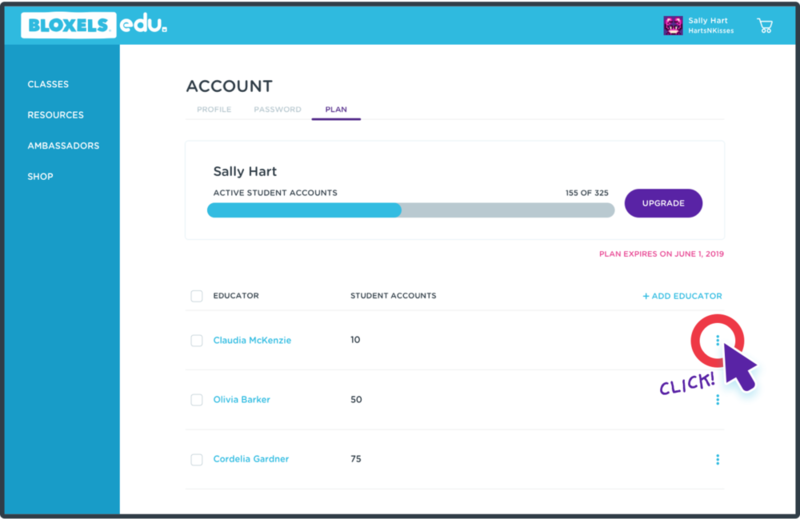 The Student Accounts you gave the educator will return to your available Student Accounts. Click the KEBAB icon to the right of the educator in the user list to open the drop down menu. 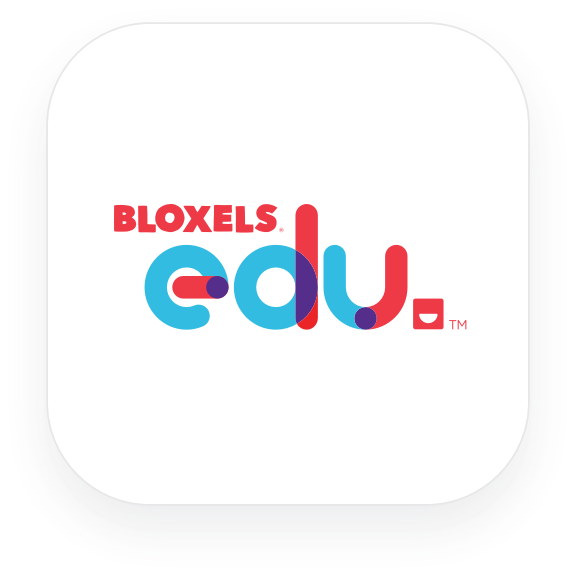 Click VIEW PROFILE to view their Bloxels EDU Profile. 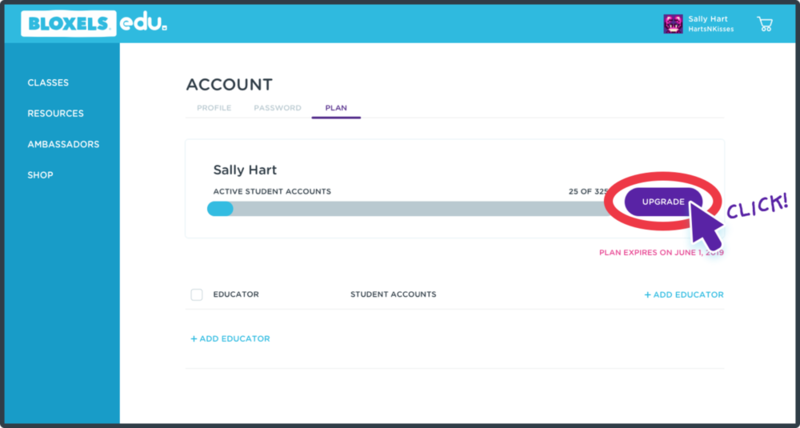 Click GIVE STUDENT ACCOUNTS to give them Student Accounts from your available Student Accounts. 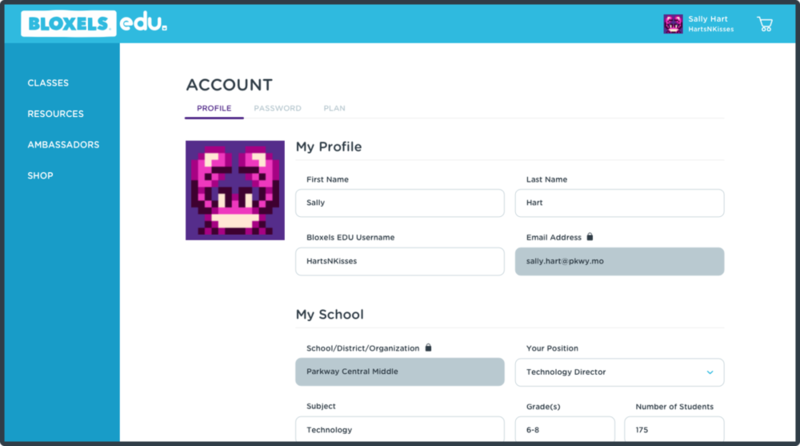 Click MANAGE CLASSES to view and manage their Classes and Student Accounts. Click REMOVE EDUCATOR to remove educator from your community. Their account and student accounts will not be deleted. 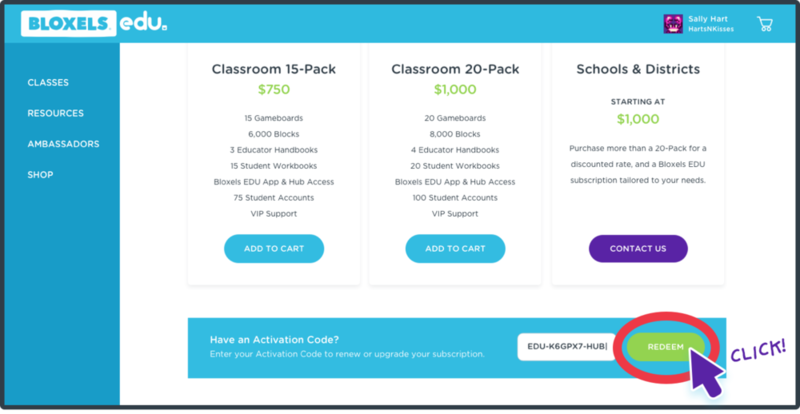 Type in your Activation Code and click REDEEM to upgrade or renew your Bloxels EDU subscription. 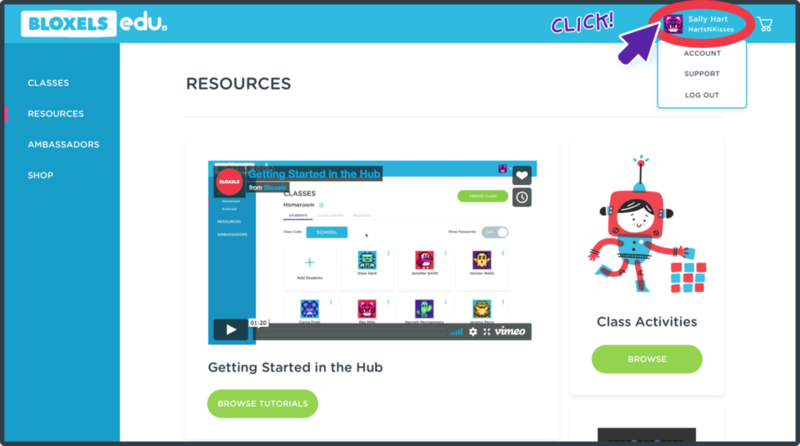 If you are still having trouble managing your account or anything else in the Bloxels EDU Hub, please email or contact us using the SUPPORT link in your account drop down in the top navigation!